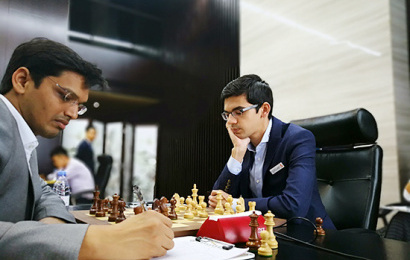 Anish Giri has opened the scoring in the 2019 Shenzhen Masters after defeating Harikrishna in Round 2. The Dutch no. 1, who finished in second place in the first two editions of the tournament, will be aiming to go one better and win arguably his first supertournament, but he’ll face competition from the Chinese nos 1 and 2, Ding Liren and Yu Yangyi, as well as Richard Rapport and Dmitry Jakovenko.